I was lucky enough to win a lovely book for my children last month on Twitter. 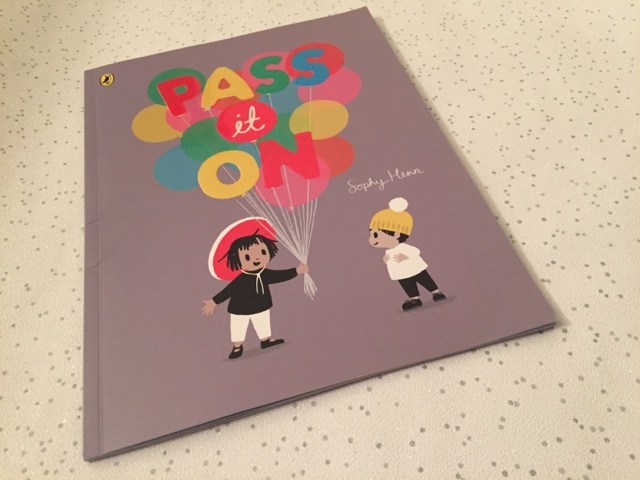 It is called Pass It On and is written by Sophy Henn who was kind enough to sign our copy before posting it to us, a lovely added touch. I was that impressed that I just had to show it off as my book of the month. The book itself is quite simple but it doesn't make it any less effective. 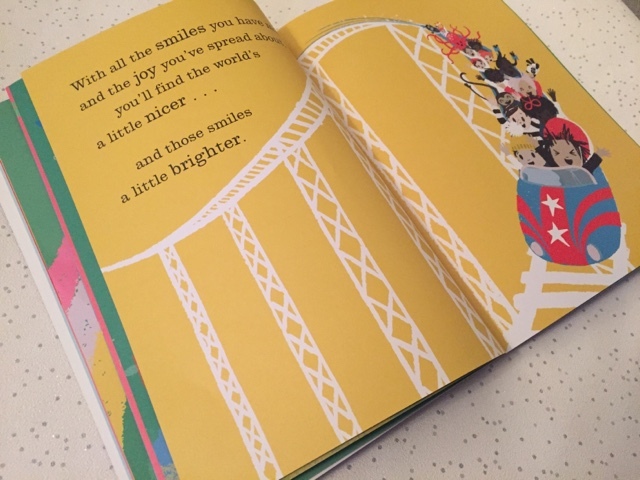 It is a picture book which looks at the concept of passing on something good, whether that be something you've seen, something you've done or perhaps just a feeling of happiness. It isn't a story as such which is in part is what makes enjoyable. It's short but sweet, something which allows even the youngest of children to remain interested. Small but catchy sentences written in bold, large print go alongside bright and fun illustrations making for a highly entertaining read. Pass It On really struck a chord with my three year old. She thoroughly enjoyed pointing out various things on the pages, like the monkeys and her favourite, rainbows. We talked about the noises that the animals make and pointed out the various vibrant colours as we continued to turn the pages. 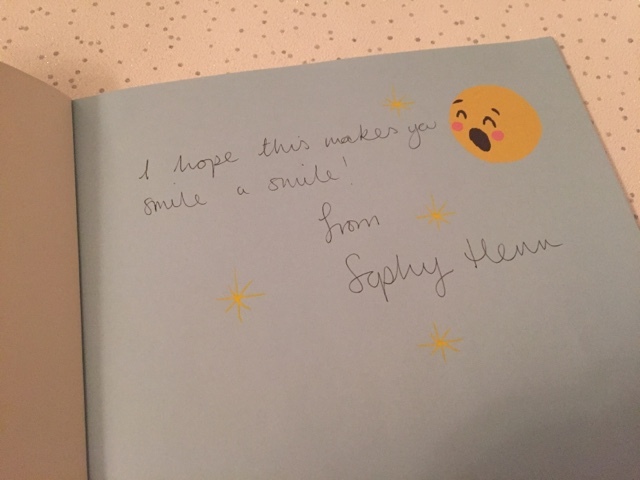 I feel like Sophy has written something that is suitable for many, it makes for a lovely family book, touching on the idea that what you see and how you act can impact others but also reinforcing the notion that sharing is a kind thing to do and can make someones day. 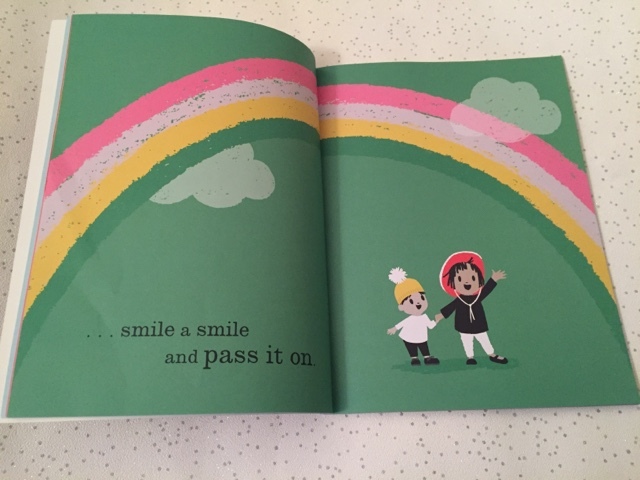 Pass It On is a wonderfully light hearted read that is bound to put a smile on your face. Oh yes. Our joint win. I'm going to give my copy to my niece. Passing it on with a smile of course! I love this book, especially the vibrant, colourful illustrations. This is on my list of books to buy, I've heard great things about it. It looks so lovely too, I love the illustrations. Great review, nice to hear that you and your family are really enjoying it.